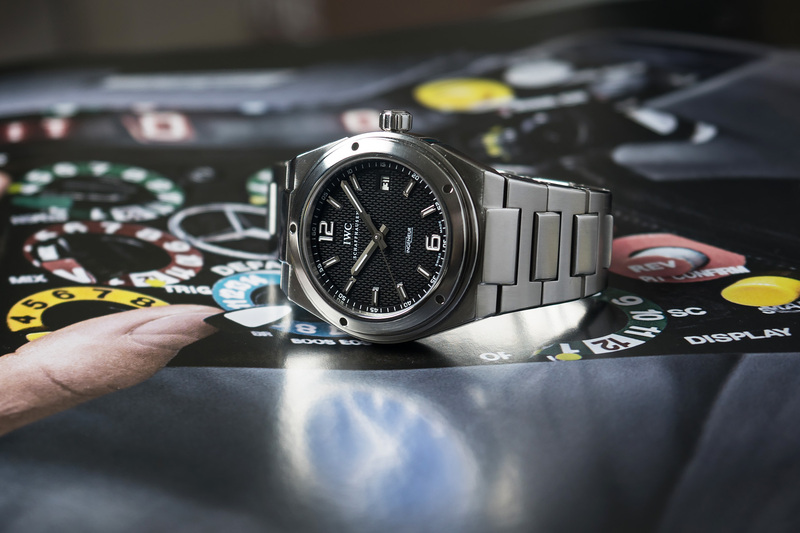 Renowned jewelry and watch designer, Gerald Genta designed the legendary Ingenieur for IWC Schaffhausen back in the early 1970’s (namely; the IWC Ingenieur SL 1832, launched in 1976). This distinctly modernist design and technical approach was to revolutionize watch design forever! 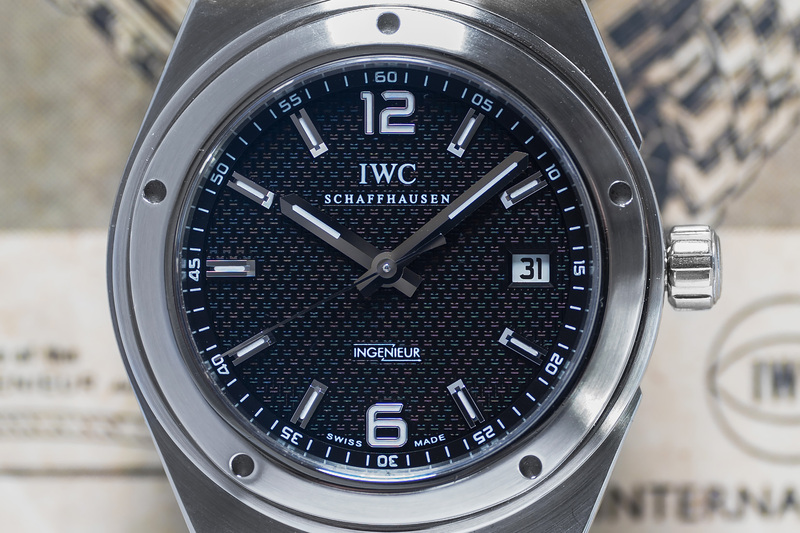 One of the highlights of the Ingenieurs design are the five visible bores on the stainless steel bezel. The story goes that one day, Genta was walking along the shores of Lake Geneva when he spotted a diver, whose helmet was secured to his diving suit with screws. This tiny detail inspired him to not hide the functional bores on the bezel, but instead leave them in plain sight for all to see. The five visible bores are engaged with a special tool during manufacture to bring the stainless steel bezel into position so it could be screwed down on the center-case. With todays technologies like smartphones, tablets and desktops being everywhere, a watch with a protection against magnetic fields is a nice plus! This is exactly why the Ingenieur was designed back in the days! As you might know, magnetic fields affect the accuracy of wristwatches. Engineers, in particular, often worked in areas subject to magnetic fields. 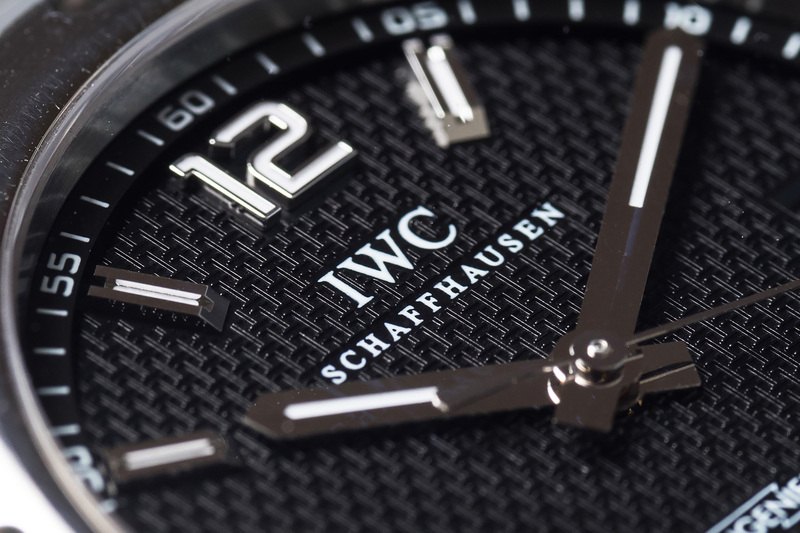 Through R&D IWC had perfected protection against magnetic fields with the help of a soft-iron inner case including a soft-iron dial to the point that making a new watch line especially for this profession seemed like a good idea. The lightning bolt (part of the lngenieurs logo which can be seen just above the six o clock position on the dial) is a physical symbol for electricity. A symbol that is directly linked to the watch its first main target group: the Engineer! 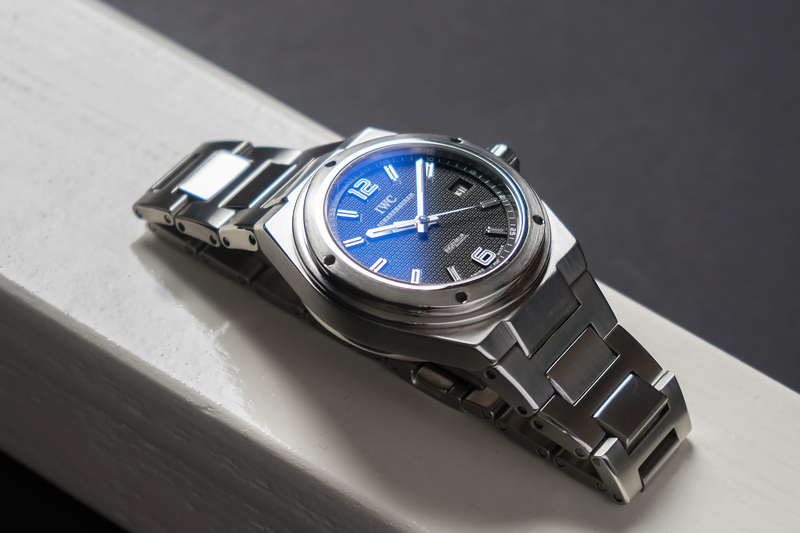 The IWC Ingenieur your looking at is in an excellent condition! 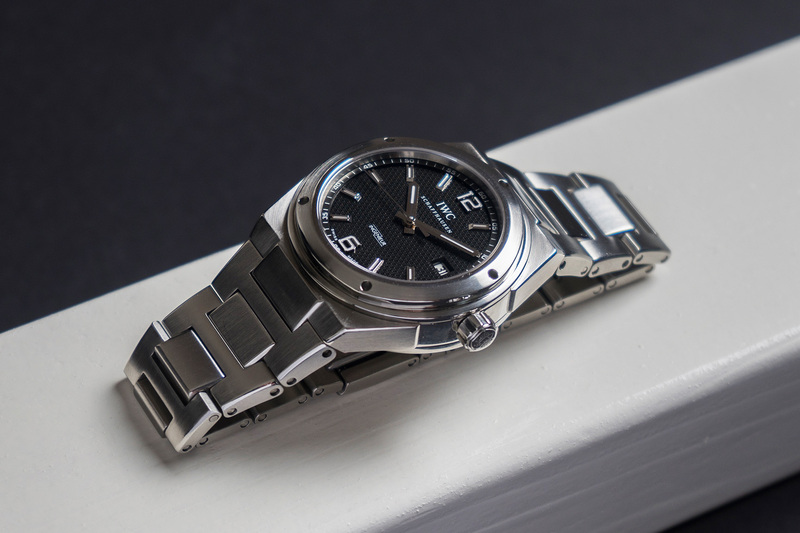 This masculine watch was first sold in 2006 in the UK and later in 2015 serviced by WEMPE Jewelers in London (both receipts of this are present). 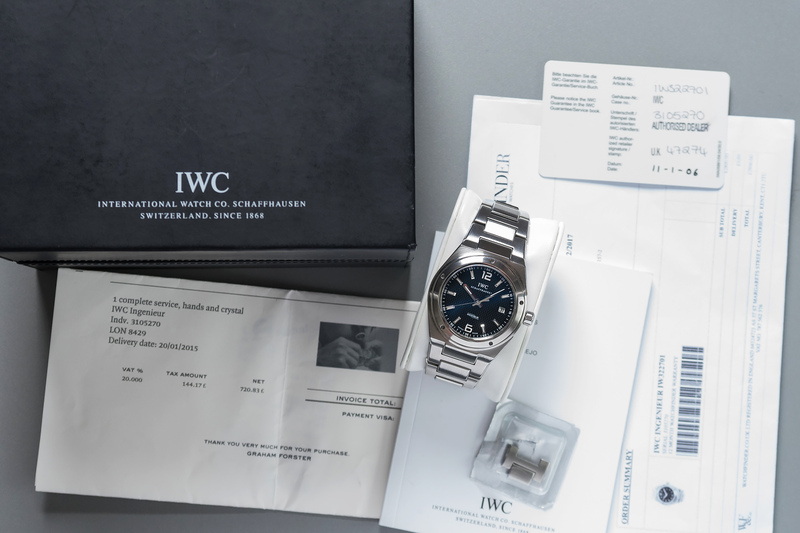 The Ingenieur is accompanied by its original box, warranty card, booklets and receipts, including a spare link to the stainless steel bracelet. The watch and its Pellaton movement have been completely checked and tested by our watchmakers and will be sold with a twelve month warranty. box and papers: Yes – Full Set!